Trees are a common sight throughout South Florida, where year-round sunshine keeps foliage green every day. Though trees are typically sturdy, they’re complex plants that can encounter considerable problems that risk damaging their appearance and even their health. Most people aren’t skilled arborists, which makes caring for their trees a mystery. 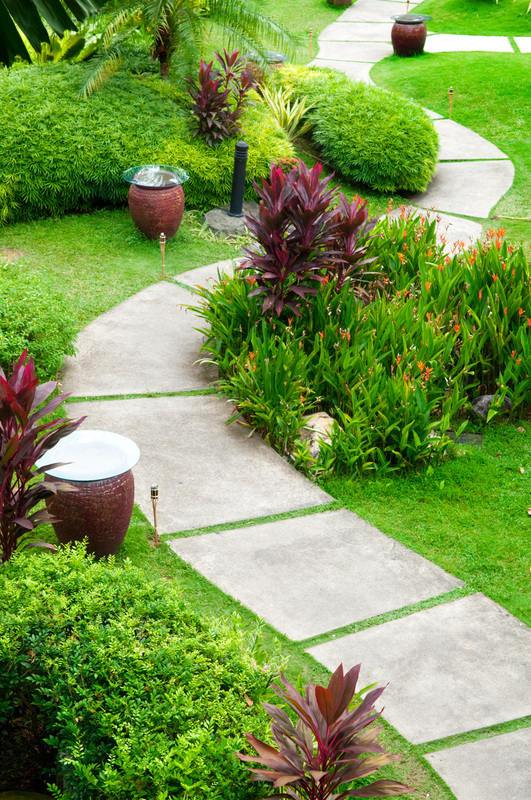 Instead of playing a guessing game with the health and beauty of your property’s trees, let our tree experts at GLIG Groundworks Pompano Beach keep things green. Our tree service in Pompano Beach can keep businesses, homes and commercial landscapes green with healthy trees. At GLIG Groundworks Pompano Beach, our dedication to tree health starts right at the first stage- planting. Our landscape design in Pompano Beach works with local trees that are native to the region. By planting native trees, we ensure their greatest chance for survival with low-maintenance options that look beautiful. Trees are important for the overall curb appeal of your home or business, they can create an inviting atmosphere that encourages visitors. Trees can even help reduce cooling costs within your home by providing shade around windows and doors. The treatment paths we take will differ depending on the severity of the tree’s disease. Our arborists at GLIG Groundworks Pompano Beach will always work to preserve the tree’s health, fighting to keep your tree alive. We may remove infected portions of the tree to prevent the disease from spreading, or apply treatments that may mitigate the disease’s presence. Some tree diseases mostly create unsightly effects, while others can threaten the overall health of your tree. Tree diseases are spread in many ways including winds, soil and rain. The most common way tree diseases spread isn’t through nature, but rather through insect intervention. Yard pests such as whiteflies and beetles bring risks. These pests often unknowingly make their home on an infected tree, and then bring the disease to the next tree they inhabit. The best way to rid the dangers of these pests is to keep them from shacking up on your trees in the first place. Our tree service in Pompano Beach can help keep your trees safe with preventative measures that will help keep pests away. One of our most popular options is tree spraying, which provides an expansive coverage zone that keeps whiteflies, beetles and other pests from making your tree their next home. At GLIG Groundworks Pompano Beach, we’re here to keep your trees healthy and beautiful. Our tree service in Pompano Beach can address almost any aspect of your tree’s needs. From landscape planning with initial planting to disease control, we’ll keep your trees at their very best. Your trees are an important part of your property’s beauty, energy efficiency and overall atmosphere. Trust your tree care to our experienced arborists, call us today at (954) 421-6199 to schedule your tree inspection.